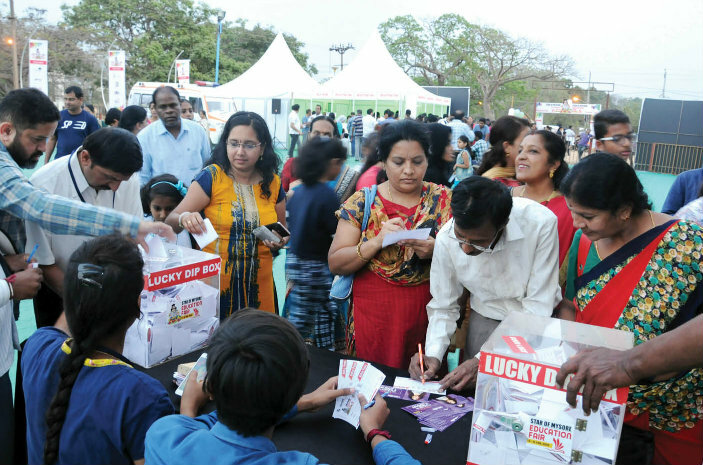 Mysuru: Curtains came down yesterday evening on the three-day Star of Mysore Education Fair which was organised at Maharaja’s College Grounds from Feb. 8. 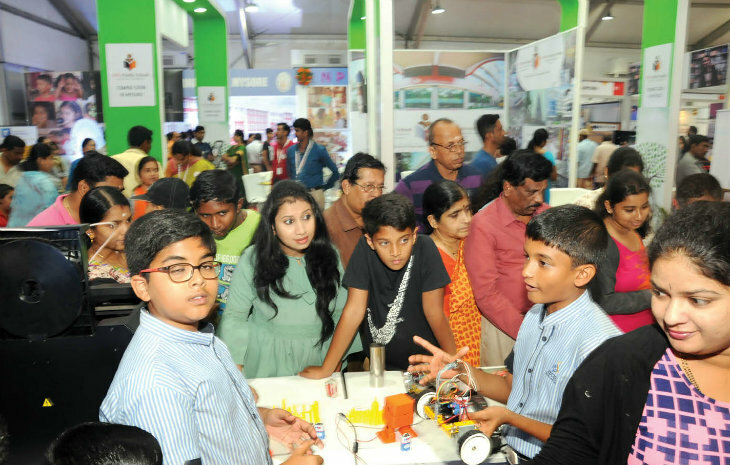 The Edu Fair was a grand success with overwhelming response from students, parents, public, teachers and representatives of various educational institutions. 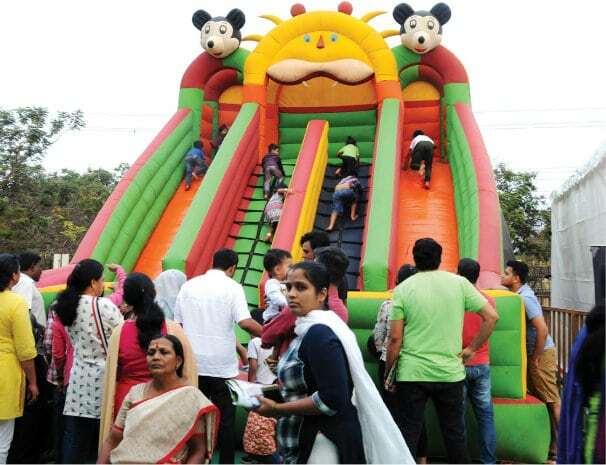 Over 85 educational institutions from kindergarten to post graduation studies in and around city and also from Nanjangud, Pandavapura, Kodagu and other places had set up their stalls to showcase what courses their institution was offering to the students, facilities provided to them and the fee structure of various courses. Over 35,000 people, including students and parents attended the three-day mega event. Representatives of various schools and colleges conducted one-on-one meetings with students and parents and provided all information sought by the visitors. Apart from educational institution stalls, book stalls, school uniforms stalls, memory and concentration improvement stalls, IIT JEE and Entrance Exam preparation centres had put up their stalls. A large number of students thronged the Virtual Reality stall, witnessed demonstration of robots, viewed the celestial beauties through telescope, besides coming to know about vintage cars and sport bikes and enjoyed lip -smacking delicacies at the Food Court at the Edu Fair. 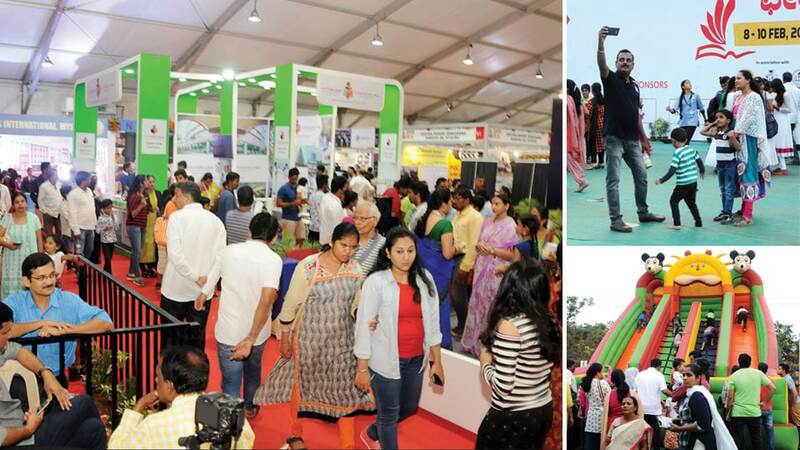 The entire Edu Fair was air conditioned and facilities such as portable toilets, rest-rooms, Police security, hassle-free parking facility was provided by the organisers. Participation of cine actors, traffic awareness by City Police, painting and drawing contest for children, selfie with Star of Mysore mascot, guidance and counselling programme for students on what next after SSLC? and other events were the major attractions, which received spectacular response. Star of Mysore Managing Editor Vikram Muthanna and Editor-In-Chief K.B. 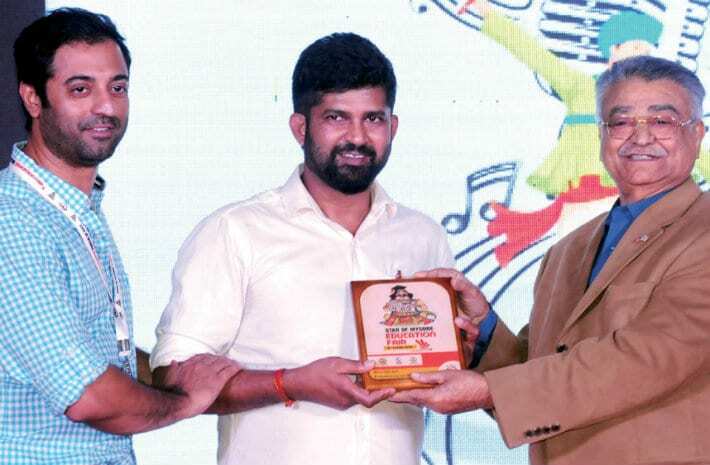 Ganapathy presenting a memento to MP Pratap Simha during the valedictory function of the three-day SOM Edu-Fair held at Maharaja’s College Grounds here last evening. Speaking after inaugurating the valedictory function of the three-day Edu Fair, Mysuru-Kodagu MP Pratap Simha appreciated Star of Mysore for organising the Edu Fair by bringing various educational institutions under one roof to provide information about education prospects and opportunities in and around the city. He called upon teachers and parents to develop the city as an education hub along with yoga and cultural destination in the State. Simha said that the district is blessed with 12 engineering colleges, innumerable educational institutions, two rivers with abundant water and other natural resources. Highlighting his achievements in the last five years, he said that he has strived hard to improve the infrastructure for the promotion of industries, tourism and education, road and rail connectivity after he was elected to the Parliament from Mysuru-Kodagu Parliamentary Constituency. “Apart from this, I have also worked hard for the upgradation of the Mysuru-Bengaluru Highway into 10 lane at a cost of Rs. 6,400 crore, construction of a flyover, completion of outer ring road, establishment of Passport Seva Kendra, flight service from Mandakalli Airport and its development and other developments in city,” Pratap Simha said. Speaking on the occasion, Star of Mysore Editor-In-Chief K.B. 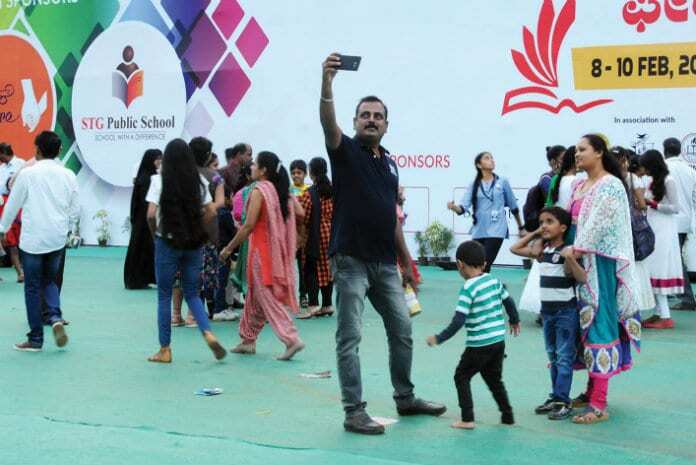 Ganapathy said that the Edu Fair was organised as part of the newspaper’s journalistic social responsibility for promotion of educational activities of the region besides to provide a platform for best educational institutions to showcase their offers and facilities to the students. He said that the Edu Fair received overwhelming response and hoped to organise the Edu Fair next year also in a grand manner. He described MP Pratap Simha as a dynamic leader and wanted him to continue his people-friendly work for the betterment of the society. Mysuru unlike in 1950s and 60s has plethora of universities in every district, has hundreds of colleges in every district and thus churning out students on an industrial scale. Have these institutions quality in terms of international metrics? It is the quality that counts and not the quantity. When the admissions are based on not what the student merit is, but what the student caste is, the education is doomed.